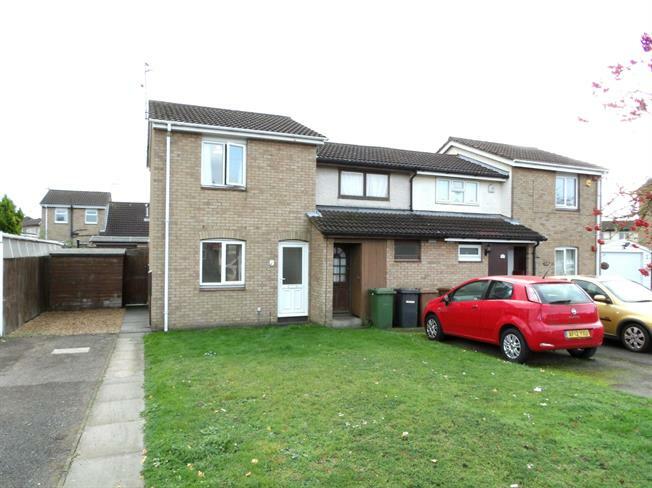 2 Bedroom Semi Detached House For Sale in Peterborough for Offers in excess of £140,000. Great opportunity for investors or first time buyers. Bairstow Eves are pleased to offer for sale this fantastic two bedroom semi detached home. The property briefly comprises of an entrance hall, spacious lounge leading through to the newly refurbished kitchen/ diner and a good size conservatory looking out to the garden. To the first floor is a master bedroom with fitted wardrobes, a further single and three piece bathroom. The property further benefits from a south facing enclosed rear garden mainly laid to lawn, off road parking for ample cars and a large front garden. UPVC back . Double glazed uPVC window. Double glazed uPVC window. Radiator, carpeted flooring. Low level WC, roll top bath with mixer tap, shower over bath, pedestal sink with mixer tap.